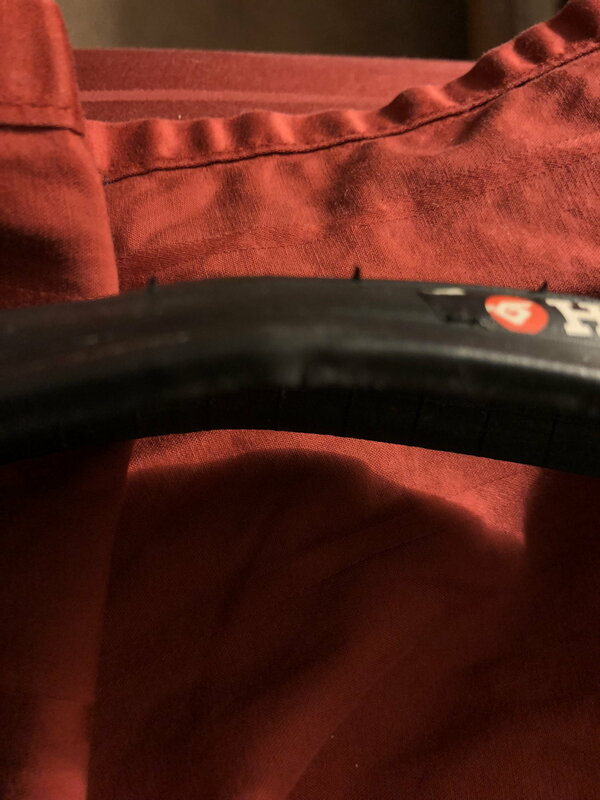 Tubeless bead damage will sealant help it? 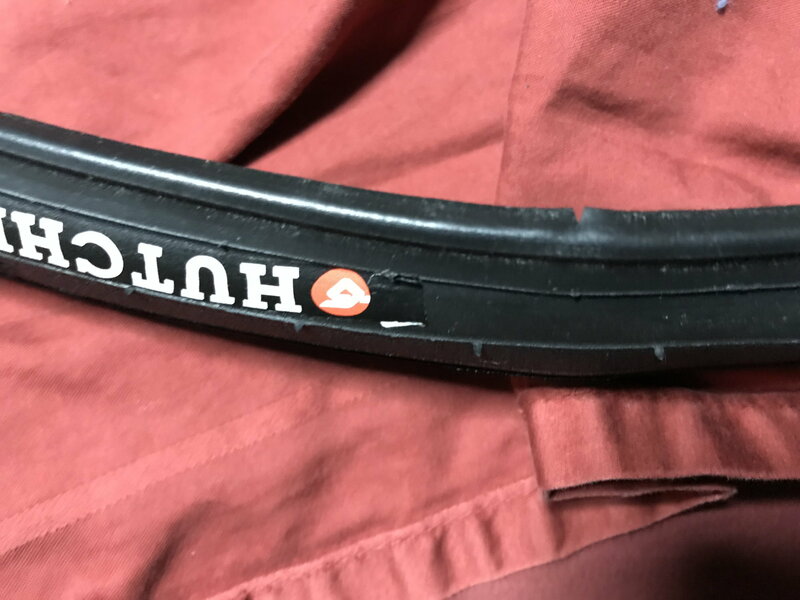 It looks like I damaged the bead on this Hutchinson Atom 23mm tubeless tire. I had mounted it and dismounted it several times and may have used plastic tire levers damaging this one spot. Is this too much of an opening to create a proper tubeless seal? Is there any way to superglue or epoxy it? Superglue that together and then epoxy your front rim crack.... put it all together as your front wheel for high speed descents. It is hard to tell how bad the damage is from the photo. If it is just that flap, then it may seal just fine. If you have any broken cords, then the tire is trashed. Once you get your rims straightened out, just mount up the tire and see if it seals. I'd consider moving the tire to the rear, but it could be a pain to swap front/rear unless you really need to do it. You could, of course, just keep the tire for the next time you have to mount a rear tire, and get a new front tire. Best tire goes on the Front..
You have to buy new stuff , get used to it..